The Miss World 2010 pageant will be held in Nha Trang City, the coastal province of Khanh Hoa as originally planned, instead of the recently proposed Tien Giang Province, the Office of the Government has announced. In early 2009, the Government gave permission to the RAAS Group, the Khanh Hoa provincial People’s Committee, and the Miss World Organization to hold the pageant in Nha Trang City. However, in October last year, the RAAS Group asked the Government to move the event to the Mekong Delta province of Tien Giang’s My Tho City, claiming that sponsors hadn’t supplied the group with enough provisions to hold the final night in Nha Trang City. 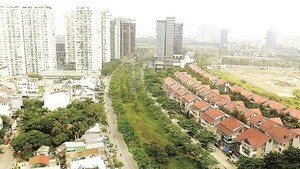 On December 29, Tien Giang Province authorities asked the Government for permission to host the contest.